A new U.S. Geological Survey has concluded that pesticides can be found in, well, just about anything. Roundup herbicide, Monsanto’s flagship weed killer, was present in 75 percent of air and rainfall test samples, according to the study, which focused on Mississippi’s highly fertile Delta agricultural region. GreenMedInfo reports new research, soon to be published by Environmental Toxicology and Chemistry journal, discovered the traces over a 12-year span from 1995-2007. In recent years, Roundup was found to be even more toxic than it was when first approved for agricultural use, though that discovery has not led to any changes in regulation of the pesticide. Moreover, Roundup’s overuse has enabled weeds and insects to build an immunity to its harsh toxins. 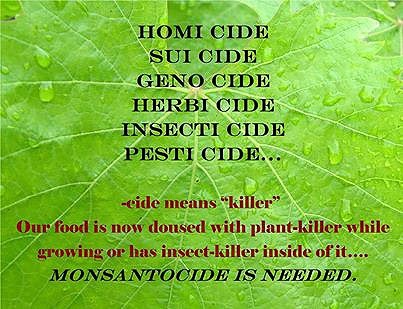 To deal with the immunity issue, Monsanto’s solution has been to spray more and stronger pesticides to eliminate the problem. The health effects of Roundup are also hard to ignore as research has linked exposure to the pesticide to Parkinson’s disease and various cancers. 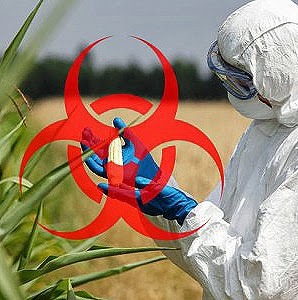 For instance, children in Argentina, where Roundup is used in high concentrations, struggle with health problems, with 80 percent showing signs of the toxins in their bloodstreams. However, Roundup isn’t the only widespread threat to public health. The U.S. Geological Survey, along with others, have identified additional pesticides in the air and water that become more toxic as they mix and come in contact with people. Spraying Roundup may have short-term economic benefits for Monsanto, but the potential long-term risks could present significant challenges to people in affected regions of the country.